Sizwe Banzi is Dead is a two-hander set in Port Elizabeth, written in 1972 by the South African playwright Athol Fugard in collaboration with the original cast. It kicks off with the story of Styles, an employee of Henry Ford who packs in his menial job to set up a photography business. Styles explains to the audience that this is more than just a business: he is chronicling the lives of the ordinary people that history books forget. The play then takes a volte-face, as one particular photographic subject becomes the focus: Sizwe Banzi. Banzi has moved from King William’s Town to Port Elizabeth in search of work so that he can support his wife and children, as back home the only available option is to risk his life in the mines. However, due to draconian measures his pass book is out of order, and the mines increasingly look like his only available option. When he and a friend discover a dead man on the streets, the possibility arises of stealing his pass book, erasing Sizwe’s own identity in order to have a chance of feeding his family. It’s a powerful demonstration of issues concerning race and identity in apartheid South Africa: sacrifice your selfhood or let yourself and others around you suffer. Banzi fears that he will become a ghost: his friend Buntu points out that living under these conditions he already is. Sibusiso Mamba and Tonderai Munyevu bring a huge amount of charm and energy to this production. It sometimes has a slightly clumsy feel – Munyevu’s lengthy monologue in particular lacks precision, but this compensated for by his sheer panache. A more problematic issue to do with the two performances is the tone that they set. Other directorial decision include segregating the audience into white and non-white, providing a bleak backdrop evocative of the dead man’s district, and prominently featuring statistics of inequality in modern South Africa in the programme. Yet all of these things feel peripheral, as the actual performances convey little sense of the entrapment, fear and suffering that they invoke – a fault, I suspect, attributable to neither the performers nor the playwright. In short, Fugard’s play is defanged by the warmth and humour of this production, deflecting away from the commendable efforts to draw attention to the political dimension and making this feel more like light entertainment than protest theatre. 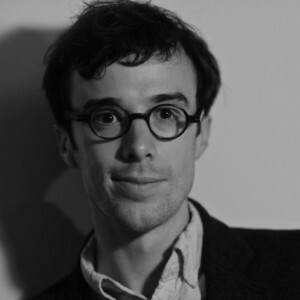 Luke Davies is an arts journalist, academic researcher and theatre director who lives and works in London. He also writes for the Times Literary Supplement, Literary Review and Review 31.